Beaver is governed by a nine-person council, three representing each of the three wards in the Borough. Council members are uncompensated and serve four-year staggered terms. The Mayor, also elected to a four-year term of office, is the head of the Police Department and may attend and participate in all council meetings but only votes in case of a tie. Council is vested with legislative powers including establishing municipality policy, enacting local ordinances, adopting the annual budget, establishing the tax rate, hiring staff, appointing Borough officials and setting water and sewerage rates. A portion of each monthly council meeting affords the citizens the opportunity to address council with any questions, concerns or suggestions they may have. 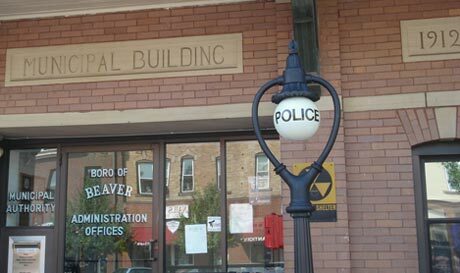 Beaver Council meets in the vintage Beaver Municipal Building, located at 469 3rd Street on Beaver’s main street. This historic brick structure also houses the Police Department, the Mayor and Borough staff. Regular Council meetings are held the second Tuesday of each month at 7:00 p.m. and Working Session meetings are held the fourth Tuesday of each month at 7:00 p.m.